Here in the empty nest, we’re lightening our load. I only want to carry things that are either purposeful, beautiful, or meaningful – or some combination of the three. Everything else can go. Yesterday, I came across some red and white checked fabric. On its own, it’s nothing special and so with little hesitation I threw it on top of the give-away pile. But then I remembered the child-sized mattress it had covered, by the bay window in Quinn and Eliot’s room in our old house on 7th Street. And I remembered that the mattress had hosted much raucous play and eased many a nervous sleepover guest to slumber. 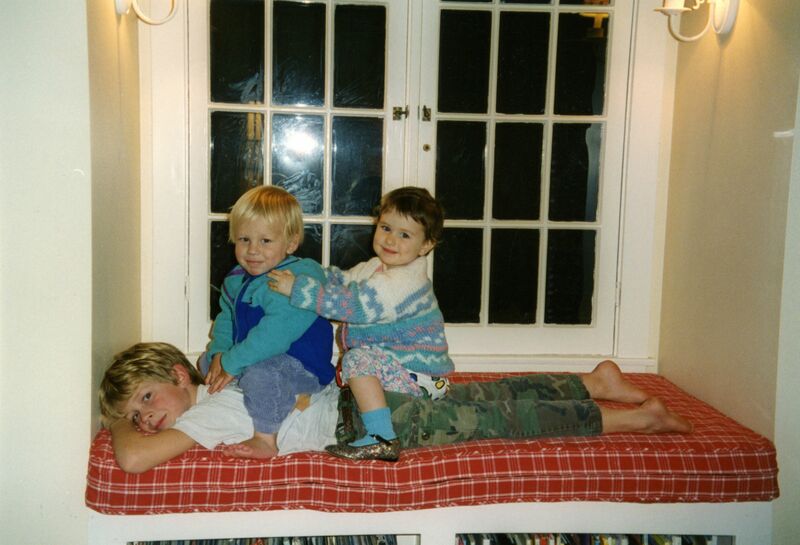 When we moved, we left the mattress behind because all our boys, and all their friends, had grown out of it. I saved the fabric, and brought it with us to this house, and it has waited all this time to be purposeful and meaningful and beautiful again. I picked the fabric off the pile, folded it carefully and placed it with the other keepers. Like us, it will have a new life, someday soon. This entry was posted in Empty Nest, Lightening the load by Anna. Bookmark the permalink. I love the respect given to the things you’ve chosen to save. Your writing about each beloved object is poetry, each with its own story. It’s wonderful that the meaning of each possession will be deepened and shared as you jog the memories of everyone in the family. Purposeful, beautiful AND meaningful. Does the fabric qualify for bonus status? That fabric was my life. I so miss that life.